We had quite a hard time picking out save the dates. A lot of people use magnets, and we considered the idea, but magnets seemed a bit too modern for our theme. 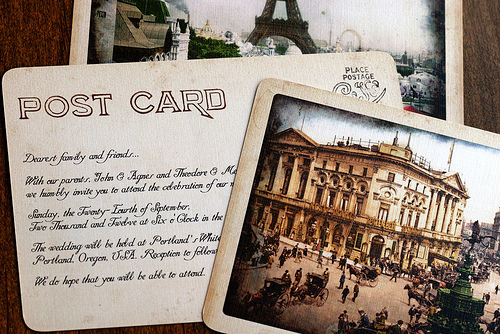 I saw vintage post card wedding invitations and instantly adored them. I showed them to Kyle and he loved that they weren’t too “girly.” I keep having to reassure him that unfortunately most weddings are pretty girly, though I think romantic is more accurate. 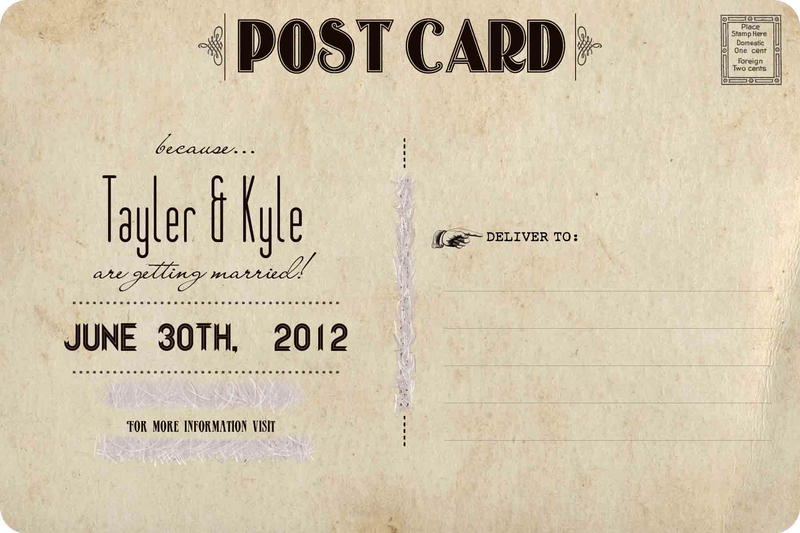 We also have a DIY project up our sleeves for the wedding invitations. I’m sorry to say We’ll save that story for another time, I definitely want our guests to be surprised when they receive their invite. So what do you think? Beautiful? Tacky? Creative? Amazing!! I love them! When we got ours in the mail I couldnt stop admiring them! I think the stamps were pretty cool too because its so unexpected and so youre like whoa! 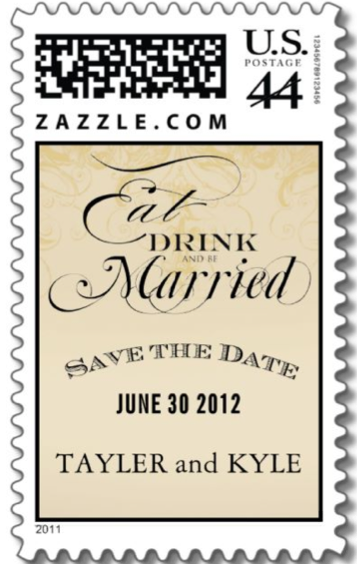 Haha awesome save the dates. Of course they are creative, gorgeous, and so fitting to your style, Tayler. Can’t wait to see them in person. Thanks! And I keep meaning to send yours with Molly, Drenna someday it will get there. Haha. 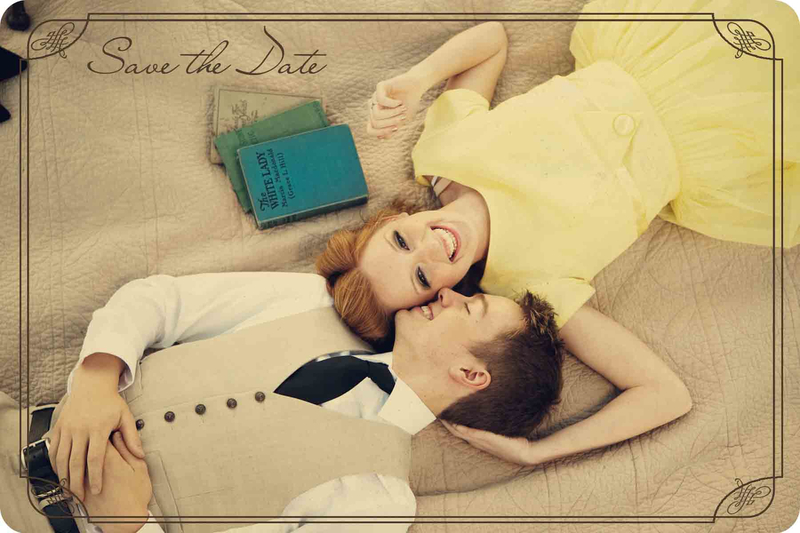 I am obsesssed with your save the dates! Oh my goodness they are amazing! *drool* I loove them…My fiance and I took a similar picture like this that you can see on my blog. I think your vintage look is perfect!